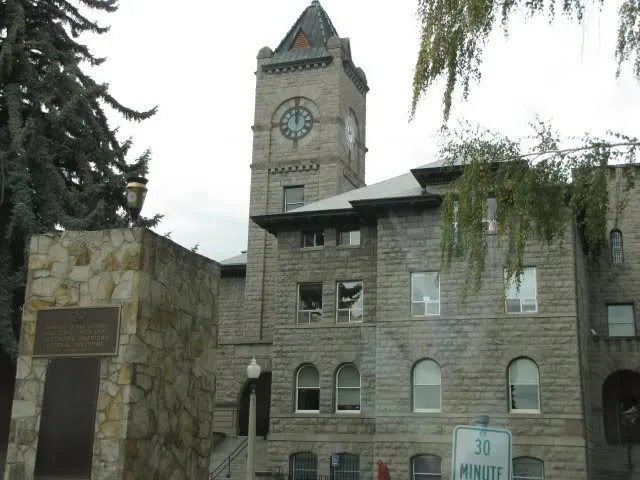 Baker City. 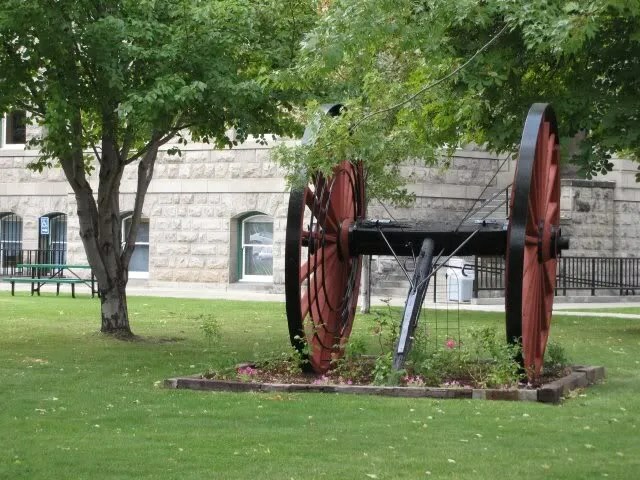 It’s a town that gives you such a sense of history! 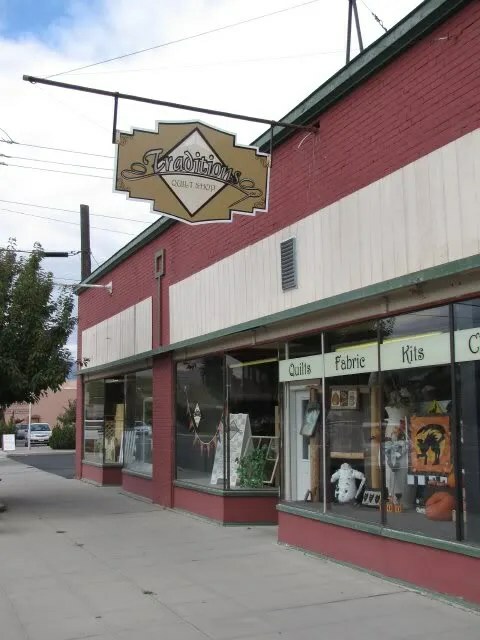 I just told Izzie that I would love to do a walking tour of the town sometime, and find out more about the wonderful old buildings that populate the downtown area. It was really hard to leave Turn the Page Books and head back out to the car; we were beginning to feel a little pressure because home was still a long ways away. So we got back into the car, prepared to get back onto the highway. But eh! Try wait!! I saw something else!! “Fifteen minutes!” I wen tell Nolemana. “That’s all I want.” “Yeah, right,” he said. What caused our delay back onto the road? I tell you, I couldn’t not go here! This!! A quilt store!! “Huh?” you might ask. Yes, it’s true, I don’t do traditional quilts like mainland kine, but I do Hawaiian quilting, and quilt store = fabric, right? 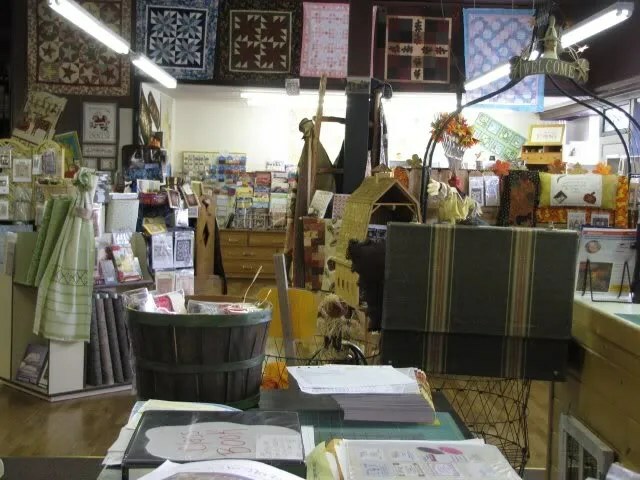 Traditions Quilt Shop. 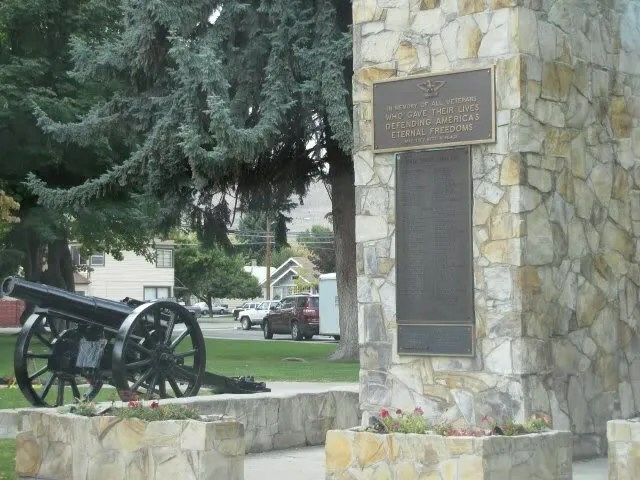 Right in the heart of Baker City. Okay, fifteen minutes. That’s all I had. I grabbed my camera from the car and in we went. Ho, da quilts!!! Try look this one! 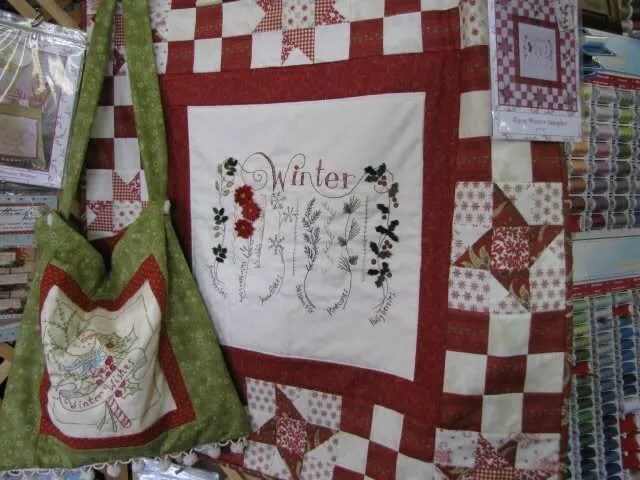 Because it was October, lots of winter quilts were hanging on the walls. Try look this snowflake one. Awesome, yeah? This is one amazing quilt. I have a friend who has made this same quilt, and let me tell you, it is absolutely amazing to see it up close and personal. M.E. 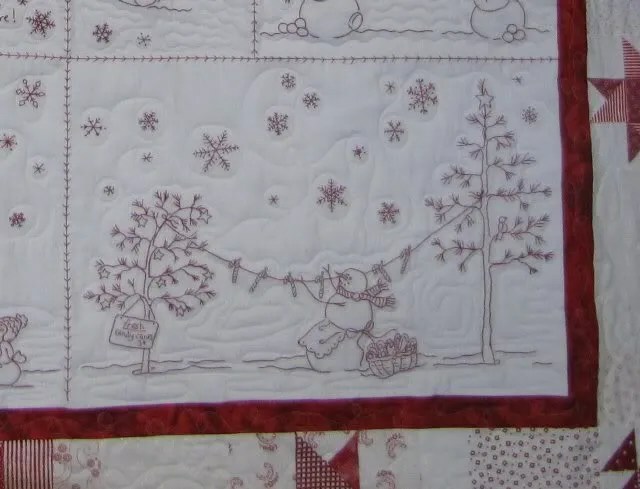 does long arm quilting for people as well as herself, and the quilting on her quilt like this has mittens and snowflakes so that the back of it is as beautiful as the front. Talk about time-consuming…this quilt qualifies. I took some close-ups of the quilt so you could see the detail. Gorgeous, yeah? Think about all the handwork that went into this lovely creation! 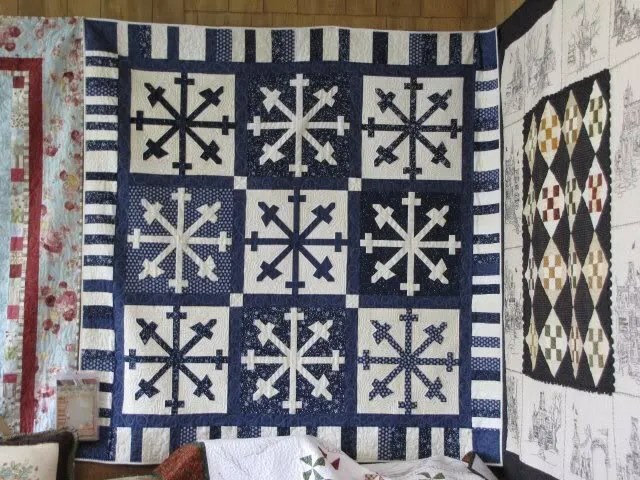 The ladies at the store said that the wahine who did this quilt was going to do it again, only this time in blue and white. 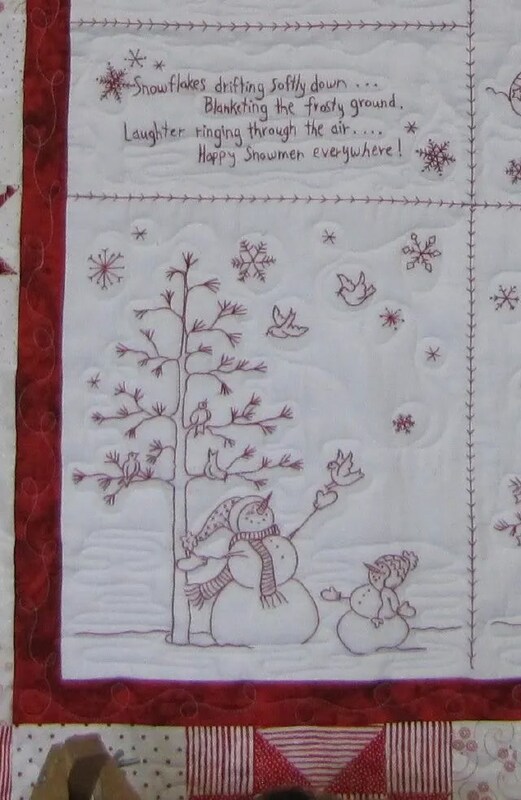 Everything was embroidered by hand, and see all the quilting lines? That’s where my friend did mittens and lots of other wintertime themes. Here’s a shot I took inside the store. Oh, how I wanted to stay longer here too…I wanted to check out the batiks especially, but I’d given Nolemana my word. Fifteen minutes. And time was up. I did buy some fat quarters, though. The ladies at the register were so nice and helpful, even cutting some fat quarters for me from fabric that didn’t have any. Back outside the shop, we began the journey out of town. We came across this old cannon da kine. Try look how big da wheels! 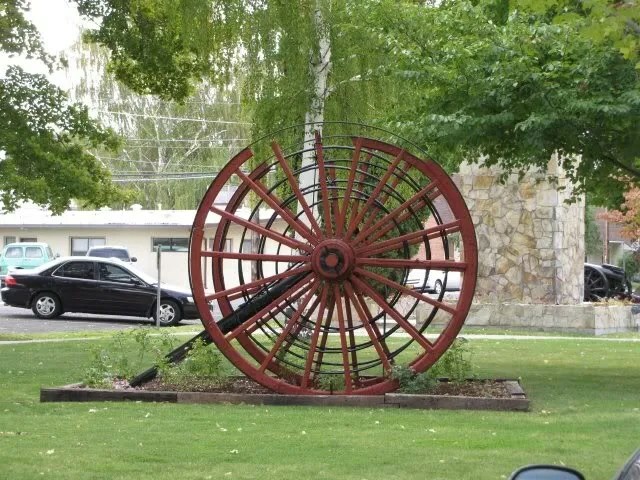 This is in front of the Baker City Hall building. Here’s a front view. Here’s another shot of the building. I adore that clock! Baker County Honor Roll. 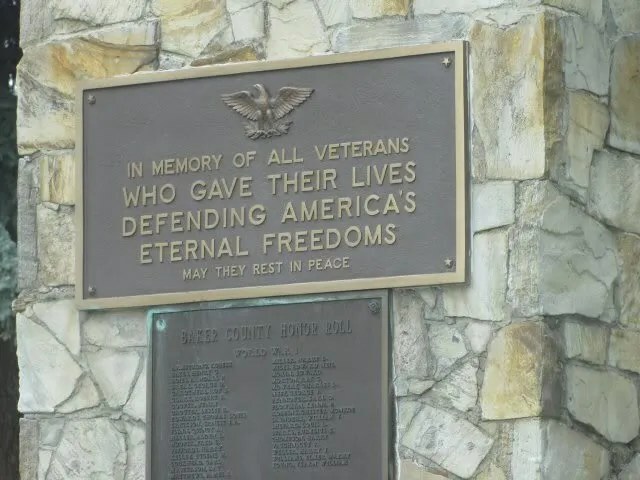 All the men and women who died serving their country…their names were all here. I just stopped a moment and thought about that. Here Nolemana and I had the freedom to drive all over this wonderful country of ours, partially made possible by brave soldiers who gave their lives to help keep us free. It was a very sobering moment for me. Near the memorial wall was a large cannon. Since we were in the car, we didn’t get out to see what era it was from. 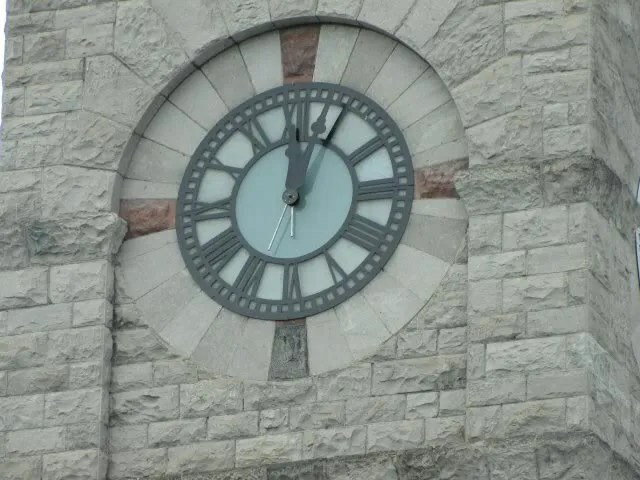 Here’s a close-up of the clock on the City Hall building. Driving along, we saw the Geiser Grand Hotel. When we got home I Google’d it and thought, if we ever go back to the area, this is where we’re going to stay! You guys must check out their website. They have a ‘way cool 360-degree virtual tour of the main area, and while it’s going around you can see exactly where you are. Go ahead. Check it out. I’ll wait right here. Awesome, yeah? And really, the prices are pretty reasonable, too. 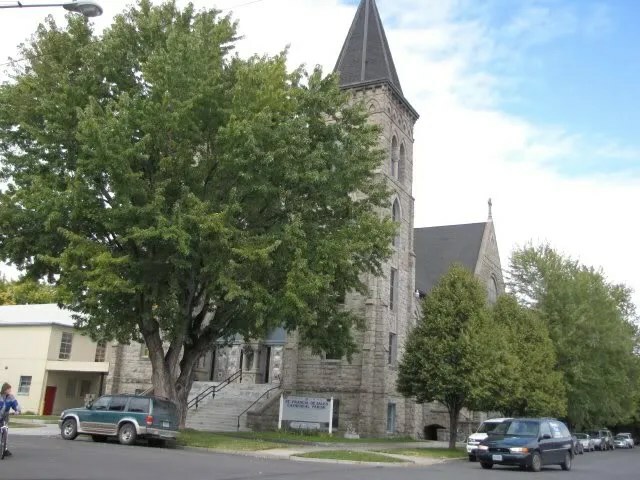 This is St Francis De Sales Cathedral Parish. Another lovely old building. We took a photo of this sign because my tūtūwahine and her father before her were Campbells. My great-grandfather fought in the Civil War for the Confederate Army. Thanks to Ancestry.com I have even found a photo of him. 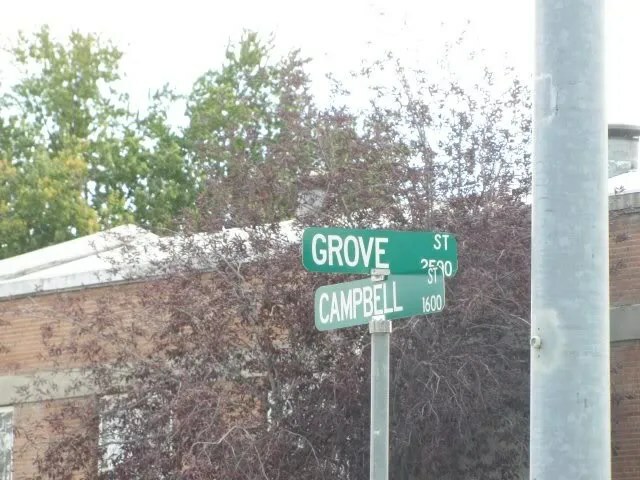 So the Campbells on one side, Portagees on da odda. Heh heh. 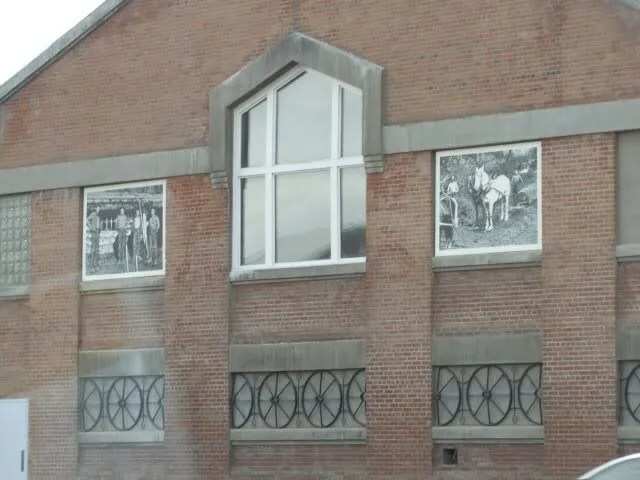 This is the Baker Heritage Museum. Try look those fabulous old photos! Oh my gosh, how I wanted to go in and explore this place! 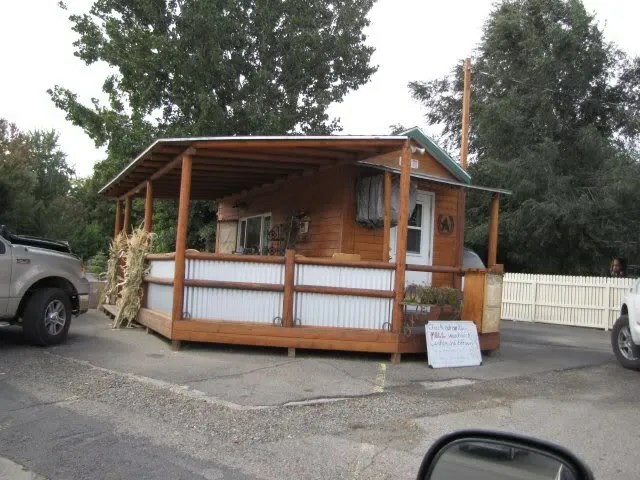 I wished we could just spend the night here in town and go home the next day! We couldn’t take time to go insai, but we did find an espresso kiosk as a consolation prize. I was so ready for a latté! 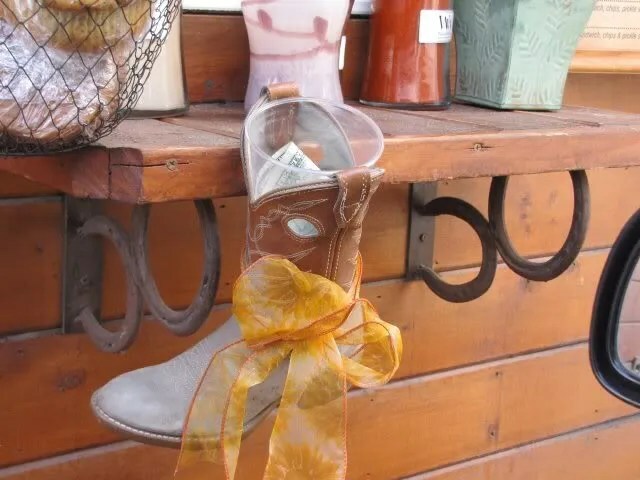 Try look da tip “jar”! 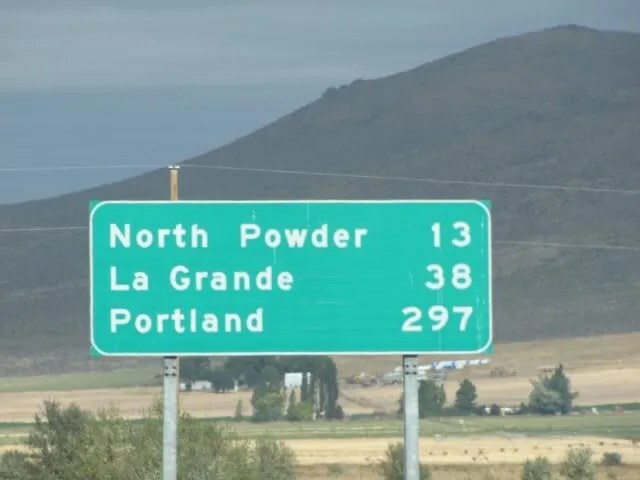 I told you this was cowboy country. Oh. I neva? Okay, den, this is cowboy country. 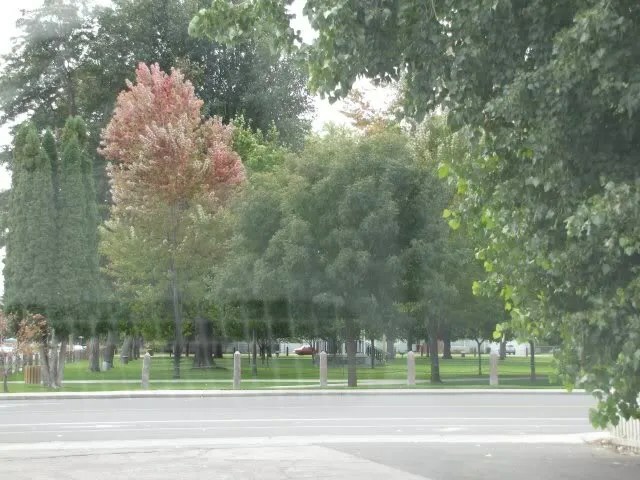 This is the park right across the street; a nice view while waiting for our lattés to be fixed. Two mochas to go. Musubi decided he wanted one too. I told him he could share mines one. It really wasn’t 1:25. I just hadn’t changed my clock back yet. Nostalgia for mountain time, I guess. 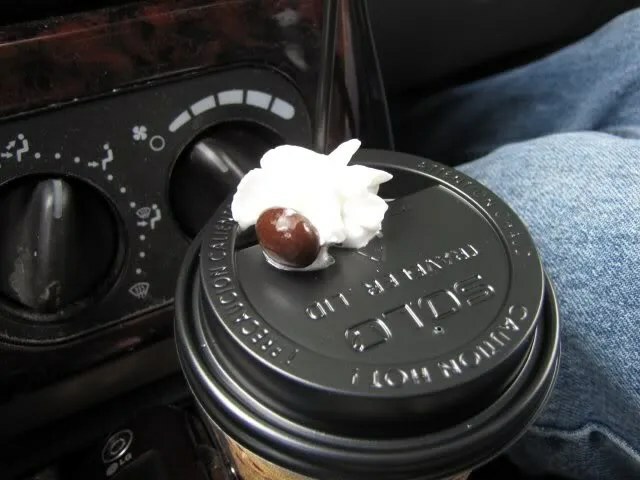 We liked the way there was the dash of whipped cream with the espresso bean ontop. 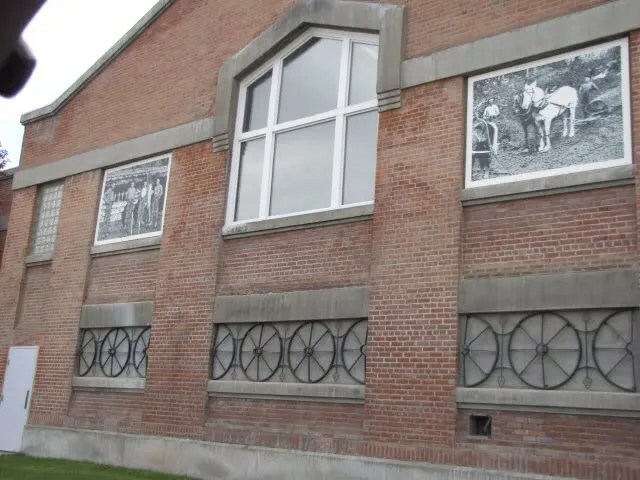 We drove by the Heritage Museum again. Siren call, I tell you! 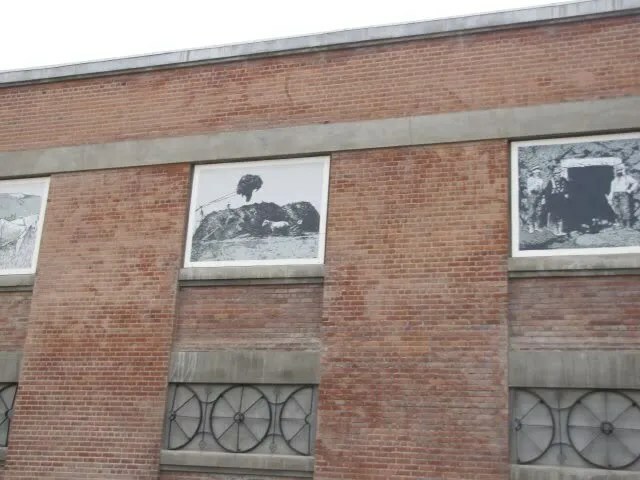 I’m pretty sure they have these photos inside the building that we could’ve seen up close if we’d had more time. One of things that I couldn’t help wondering about was, where did all these bricks come from in the town’s buildings? Did they get shipped in via the railroad? By horse-drawn wagons? See, if we’d had time to go inside, I could’ve asked all those questions! But we had to leave. We still had to go up and over the Blue Mountains on our long journey home. They stretched out very blue in the distance. 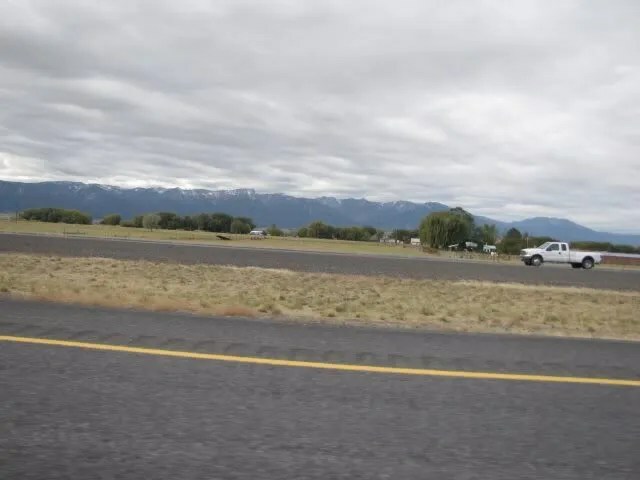 Here we are, back on the highway. 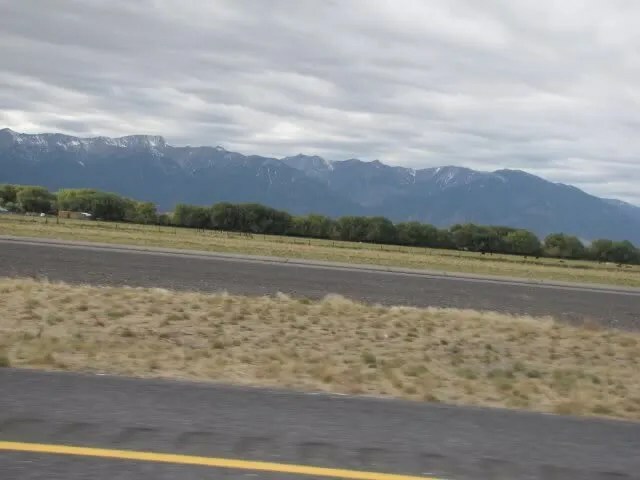 When we made this trip before, Leilani was just a baby, and the mountains were all snowy. Once again, the highway beckoned us onward and homeward. 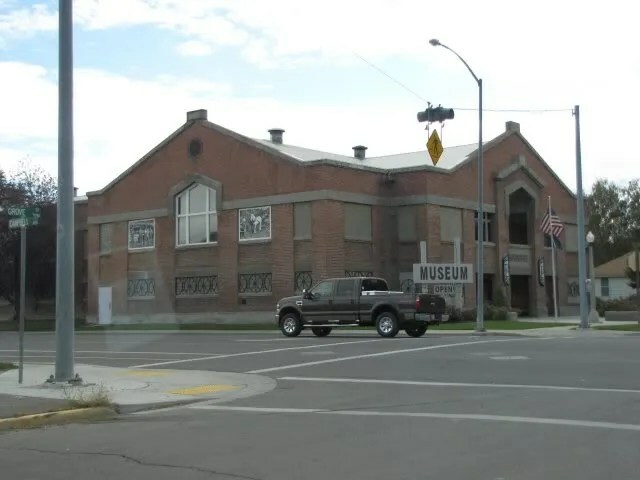 On the next part of the road trip, we’re going to have a wonderful chance to view Oregon history up close! Mahalo plenny for all your comments and interest! This entry was posted in Da Kine: Sometimes Full-on Pidgin, Hawaiian Quilting, Holoholo Pacific Northwest. Bookmark the permalink. Good old American Quilts! I love them. Hawaiian quilts are wonderful, yes, but have you ever seen the diversity in the American quilts? After all, the Hawaiians “borrowed” the art of quilt making from the traditional American craft. Whenever I go to fairs I rush over to the quilt display. 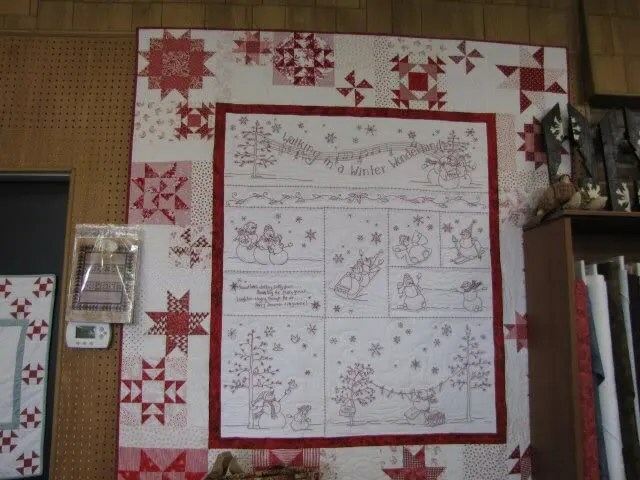 It amazes me to no end what people are creating in the name of quilts! The designs, the colors, the themes and all the different combination. Amazing. Loved your pictures of the quilts you saw in the little shop. The Geiser Grand Hotel is wonderful! I would definitely stay in the Cupola Suite. It looks so charming, so does the Parlour Suite too. It is how much I pay to rent an entire cabin at Calloway Gardens Resort which is my getaway. So I’m thinking to pay that much for just one room? It better be good LOL. 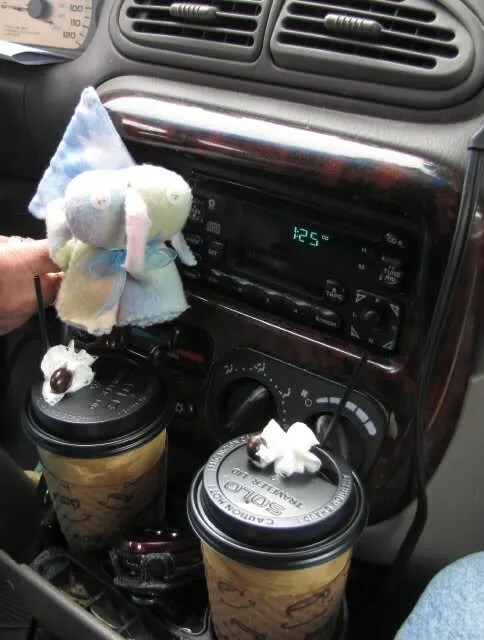 I love the way you included a snapshot of your two mochas to go. Fancy kind too with the whipped cream an bean to top! LOL Awesome, Mokihana! What a trip so far! I find it amusing how it is taking you longer to tell us about the trip than the amount of time it took the two of you to travel and experience its length. No complaints by me, I am truly enjoying this. Thank you so much for the ride! I love reading about your trip. I love coffee, and yours looks very very good! A few of my ansectors fought in the Civil War too-but were Union guys.